Suicide is a major public health concern. Over 8,00,000 people commit suicide worldwide every year and of these 1,35,000 are residents of India. Suicide is complicated and tragic but is often preventable. Having a knowledge about the warning signs for suicide is vital to saving lives and providing necessary psychological and pharmacological help to people who are in distress. (f) Talking about being a burden to others and feeling unbearable emotional pain. (f) having exposure to violent and suicidal behaviours of others through various media platforms, online content and cinemas. Are there solutions in sight? Talk therapies: Psychotherapy is a psychosocial, non-pharmacological intervention and multiple studies have replicated the efficacy of psychotherapy in reducing the risk of suicide. The commonest form of ''talk therapy'' is Cognitive Behavioural Therapy (CBT). This enables individuals to identify their faulty thought patterns and the therapist then tries to modify or restructure them. This helps the individual to cope with stressful situations and to consider alternative actions when thoughts of suicide arise. For people diagnosed with a personality disorder, such as borderline personality disorder, dialectical behavioural therapy (DBT) is used. The gist of DBT lies in enabling the client to tolerate his/ her distress and finding better coping strategies instead of indulging in harmful or unsafe behaviours. Pharmacotherapy: Multiple studies have shown that when talk therapy is combined with medication, the efficacy of the treatment increases. Only psychiatrists are allowed to prescribe psychotropic drugs and it is vital that the client seeks professional help as it can make a marked difference to one's quality of life. 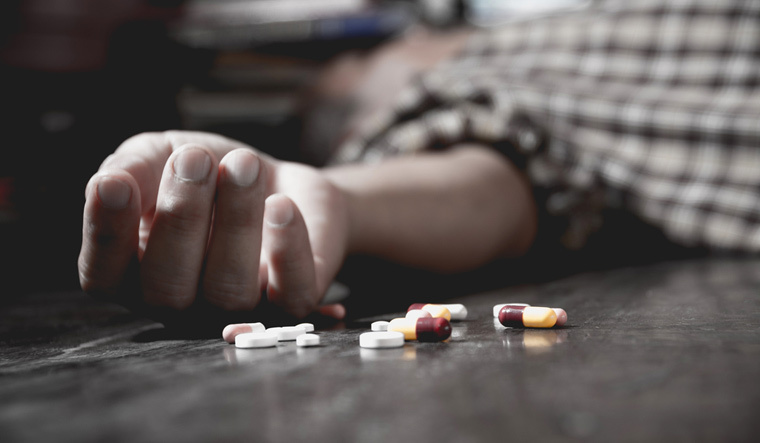 The selection of the drug depends on the underlying cause for suicide. In schizophrenia, clozapine has shown tremendous benefit in reducing suicide risk. For patients with bipolar disorder, Lithium acts as an effective anti-suicidal agent. Apart from these, several other medications such as anti-depressants and anxiolytics are utilised for reducing suicide risk. Contrary to what is believed, these agents are safe, efficacious and do not cause long term dependence. They are tapered and stopped after 6-9 months and are not continued indefinitely. Brain stimulation techniques: Modalities such as electroconvulsive therapy (ECT) and repetitive trans-cranial magnetic stimulation are the most useful strategies in patients who are actively and acutely suicidal. These modalities are safe and are routinely used clinically. With the advances in safe anaesthetic practices, ECT continues to be the gold standard in helping acutely suicidal patients. Unfortunately, it has been portrayed in a negative manner in the media and in movies. Apart from these modalities, educating the public about suicide and building awareness about mental health issues is vital. Gatekeeper training involves training teachers, health workers, volunteers, community and social workers in identifying people who are at risk for suicide and then effectively directing them towards professional help. Countless lives are lost to this scourge called suicide. It is the responsibility of every government to make mental health a priority so that many lives can be saved.